ALL Returns Must Be Within 24 Hours of Purchase. Returns Must Be Accompanied With Product & Cox Seafood Market Sales Receipt. No, Unfortunately We Do NOT Ship Any of Our Products. Of course! Our friendly and knowledgeable customer services reps are available to answer your questions during business hours. Yes, We take product reservation based on availability. Some reservations may require a deposit. Can I Place Order on Voicemail or Email? NO! Any Orders Left On Message Machine or Email Will Be Deleted Without Fulfillment. 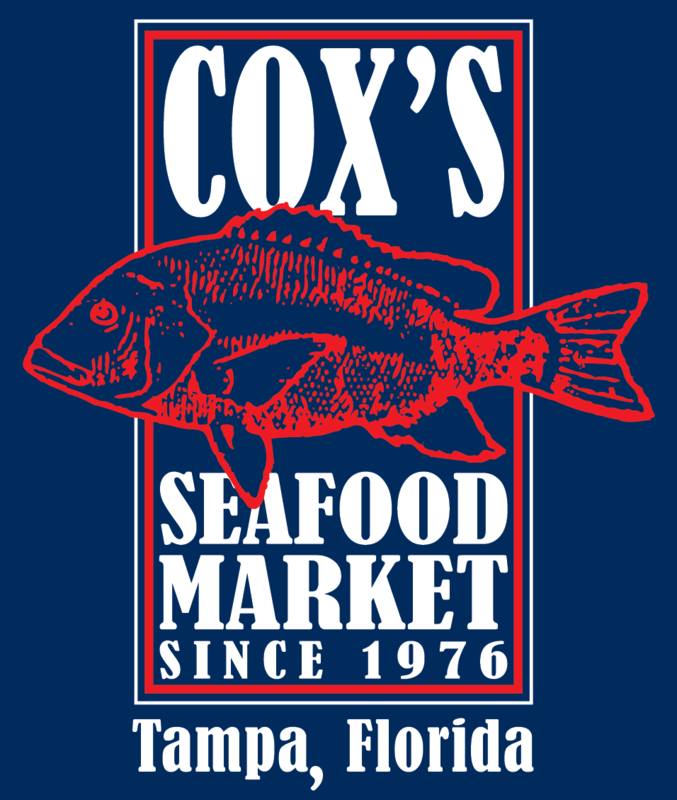 Only Orders Placed In The Store or Via Phone With One of The Cox's Seafood Crew Members Will Be Fulfilled. No! Unfortunately we do NOT accept payment over the phone for our customers safety. 6821 N. Dale Mabry Hwy. Sign Up To Start Receiving NEWS & SPECIALS!